This one owner home sits off the picturesque oak canopied road featured in many scenes in the movie Doc Hollywood. Just a quick 15 minute commute to University of Florida/Shands/VA Hospital. Easy access to I75 and 441. 25 minutes to Ocala. 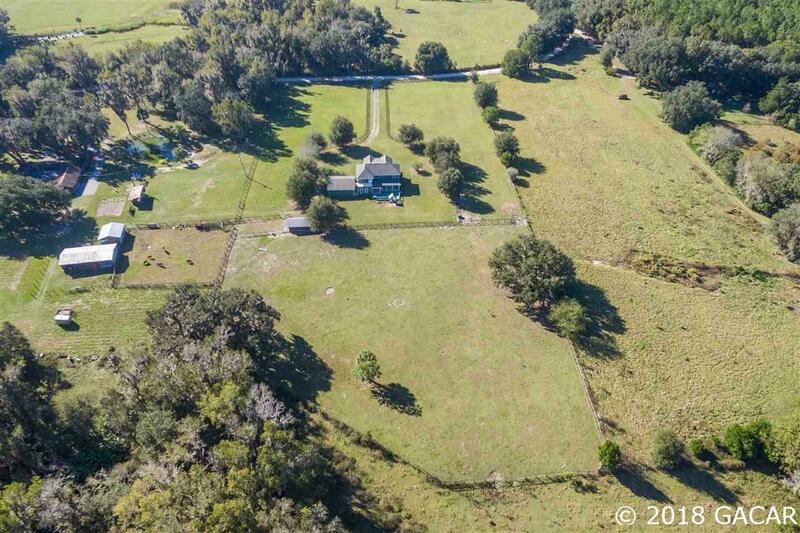 4 miles from Micanopy Area Cooperative School and 15 minutes from PK Yonge. 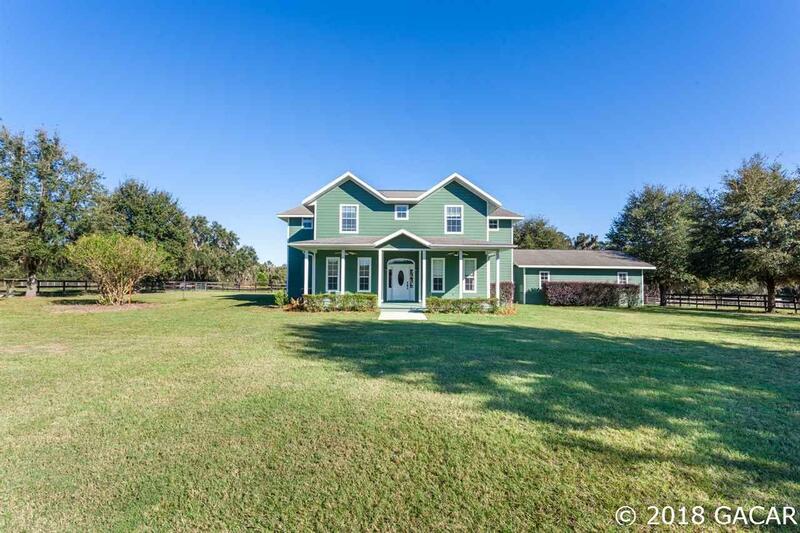 This 2 story, 4 or 5 bedroom home has 3.5 bathes. The large master suite has a deck that allows you to enjoy the view of the back acreage that houses many wildlife animals. All of the bedrooms are upstairs. One guest bedroom has its own ensuite bath.The kitchen has plenty of storage and many upgrades. The downstairs bedroom was designed as a sewing room with large closet storage. The living room has a great view of the backyard and pasture. You can enjoy this view from the covered porch and large deck. 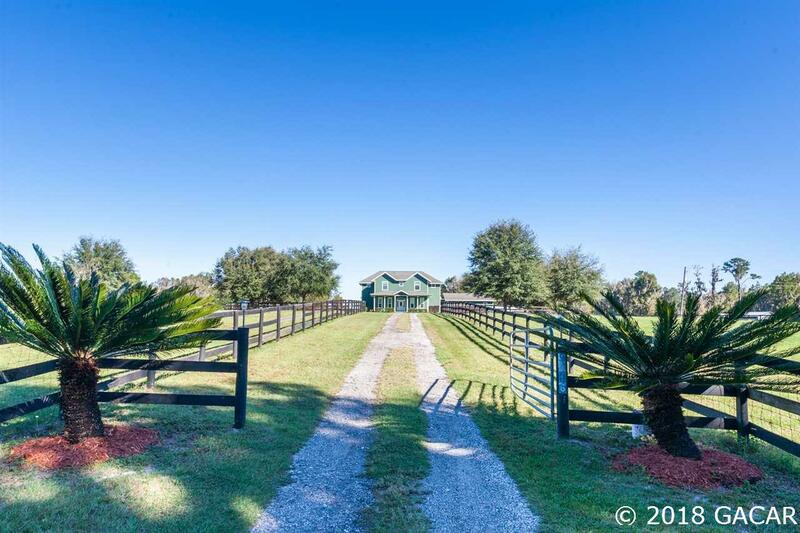 There is a horse paddock and chicken coupe available for your livestock. 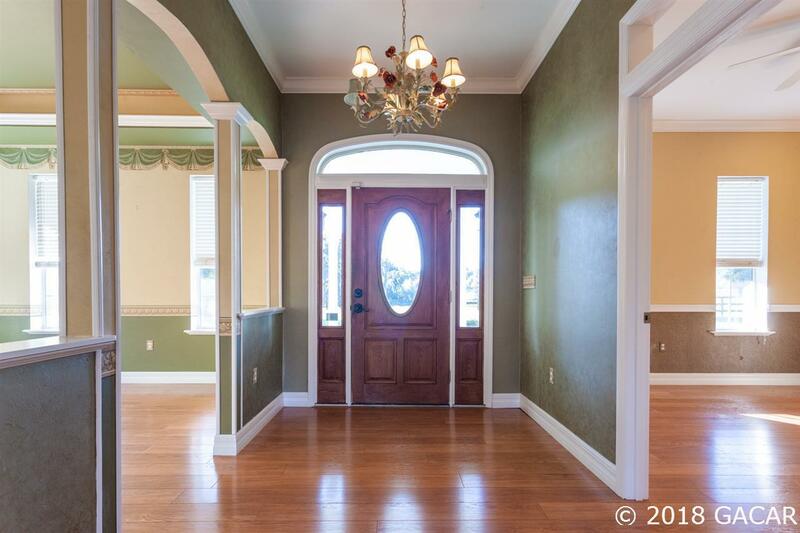 Put this house on your list to see.